In 1977, career diplomat Maurice D. Bean was nominated by President Jimmy Carter to serve as U.S. Ambassador to Burma (in 1989 the military government changed the name of the country to Myanmar). Bean was born on September 9, 1928, in Gary, Indiana. His father Everett worked as a laborer for the U.S. Steel Corporation; his mother Vera was a housewife. Bean attended racially segregated schools in Gary and graduated from Howard University in 1950 with a B.A. in Government. A year later, Bean’s career in the U.S. Foreign Service began when he was assigned to work with the Economic Cooperation Administration (ECA) in Indonesia. From 1951 to 1956, he served in Djakarta, the nation’s capital, as clerk, assistant program officer, and program analyst for the ECA. Bean also continued his training, graduating from Haverford College in Philadelphia, Pennsylvania in 1954 with a Master’s Degree in Social and Technical Assistance. Five years later (1959), Bean received a postgraduate certificate in Advanced International Studies from Johns Hopkins University in Baltimore, Maryland. The certificate came while he served as an ECA operations and programs officer in Bangkok, Thailand (1956-1961). In 1961 Bean joined the newly formed U.S. Peace Corps and worked in Manila, the Philippines until 1966. Bean served first as the Corps Operations Officer (1961-1963), then Deputy Regional Director (1963-1964), and finally Operations Director (1964-1966). In 1966 Bean rejoined the State Department as a director within the Bureau of East Asian and Pacific Affairs for Malaysia and Singapore. Bean’s mission ended in 1970, the year he came back stateside to participate in the nine-month Senior Seminar in Foreign Policy. In 1971 he was assigned as U.S. Consul in Ibadan, Nigeria, serving there until 1973. 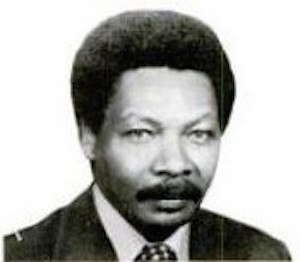 From 1973 to 1976 he was Deputy Chief of Mission and Senior Foreign Service Inspector in Monrovia, Liberia. While stationed in Ibadan, Bean in 1972 married Dolores J. Winston. In 1977, President Jimmy Carter nominated Bean to become U.S. Ambassador to Burma. Upon U.S. Senate confirmation, Bean became the first African American ambassador to serve in Southeast Asia. From 1977 to 1979, Ambassador Bean worked closely with Burmese President Ne Win, and with leaders in neighboring countries such as Thailand’s Kriangsak Chamanan, to contain drug trafficking and stop the cultivation of cocaine and heroin. At that point Thailand was the major supplier of cocaine and heroin to the United States. After his Burma assignment ended Bean briefly served as Diplomat-in-Residence at Case Western Reserve University in Cleveland, Ohio. From 1980 to 1986 he was advisor to the Commander of Air University in Maxwell Air Force Base outside Montgomery, Alabama. Bean retired from public service in 1986 in Pasadena, California, shortly after the death of wife Delores (in 1985). On November 30, 2009 Maurice Darrow Bean passed away in Pasadena at the age of 81. He was survived by his only son, Everett Thomas Bean. “Maurice Darrow Bean,” 1930 & 1940 United States Federal Census; and U.S., Social Security Death Index, 1935-2014 http://www.ancestry.com/; Gerhard Peters and John T. Woolley, “Jimmy Carter: ‘United States Ambassador to Burma Nomination of Maurice D. Bean,’ August 15, 1977” http://www.presidency.ucsb.edu/ws/?pid=7959; United States Office of the Federal Register, “Jimmy Carter: 1977” (1981) http://quod.lib.umich.edu/p/ppotpus/4732130.1977.002?rgn=main;view=fulltext. the Federal Register, “Jimmy Carter: 1977” (1981) http://quod.lib.umich.edu/p/ppotpus/4732130.1977.002?rgn=main;view=fulltext.